A GUNLOCKER TRUST™ is an estate plan for your firearms. It’s your rulebook for how your guns may be used. 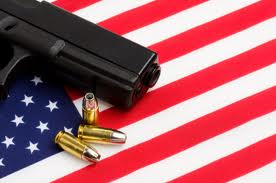 A gun trust can avoid probate of your guns at your death. It can provide that certain guns pass to named people. It provides rules and instructions that prevent accidental felonies when others use or are instructed to transfer a firearm as a sale, gift, or bequest. You appoint a Trustee (often yourself) who is given power to administer trust assets on behalf of your beneficiaries, all of which is stated in your document. You can design it for anyone, including yourself, and you can be the Trustee and beneficiary, too. The trust is “funded” with guns and accessories so that the trust owns them. We use several types of legal transfer forms, generally an assignment or bill of sale. A purpose-built GUNLOCKER TRUST™ helps safeguard you from the risks associated with owning and transferring firearms to others such as your beneficiaries. GUNLOCKER TRUST™ protects your privacy, property, family and friends. An improperly drafted gun trust creates serious problems. Such trusts include the “free” or do-it-yourself trusts that can be downloaded from the internet or acquired from a local gun shop. The only attraction is “price”. Most, if not all such trusts are SILENT about compliance with gun laws.